Disclaimer: I was given a complimentary trip by Hampton by Hilton. But all opinions are my own, and you’ve got to try their waffles! 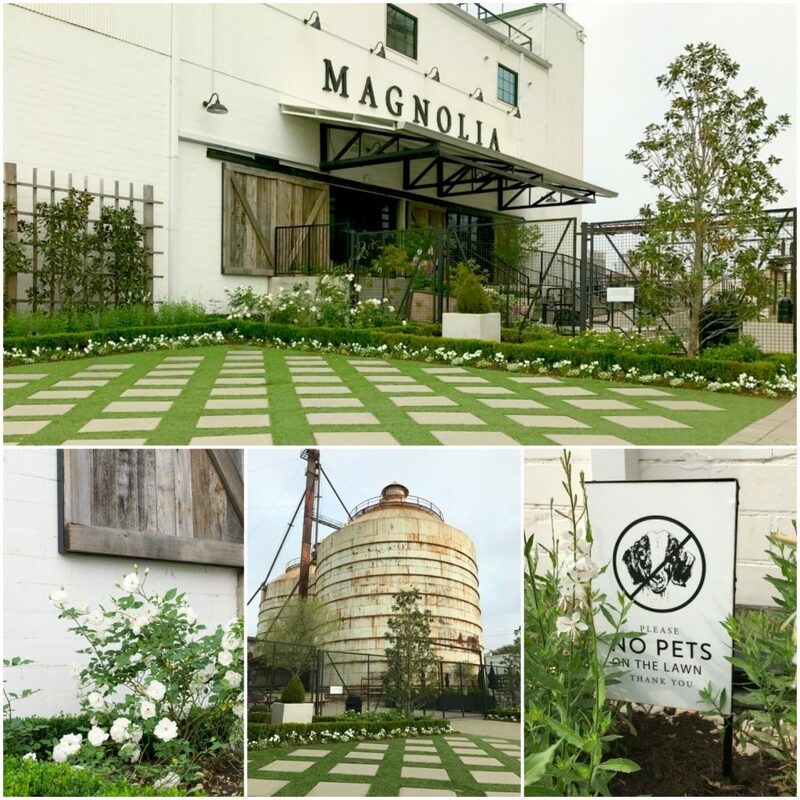 Are you obsessed with the show Fixer Upper and thinking of visiting the famed Magnolia Market in Waco? Same. 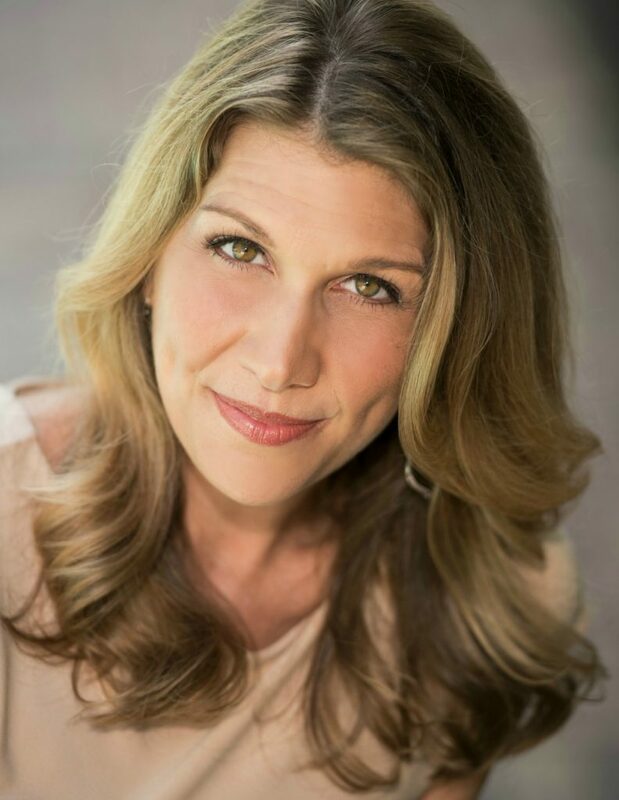 I love the show, and then I read the Magnolia Story and the book sort of spoke to me. 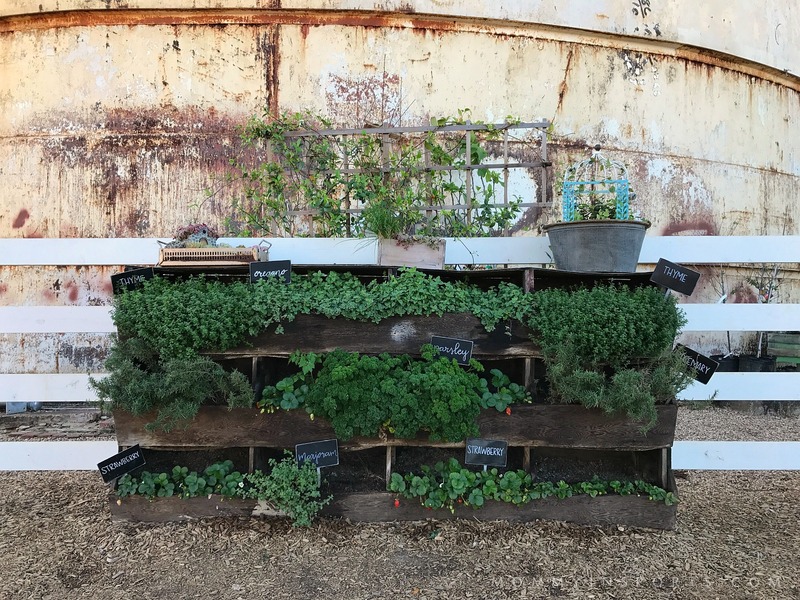 Joanna Gaines’ message is so authentic and knew I’d want to visit their headquarters one day. We’re also in the middle of a kitchen renovation and needed some swag for our new cocina. 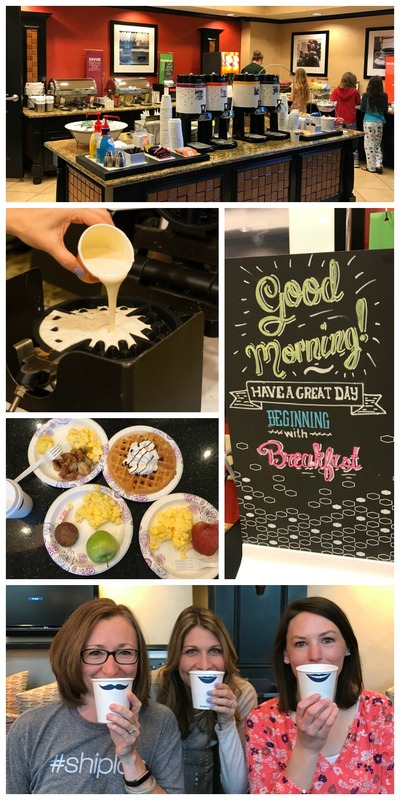 So when Hampton by Hilton asked me to join the Ultimate Seekender team again, I couldn’t wait to board the plane to Dallas for a Seekender weekend in Waco! 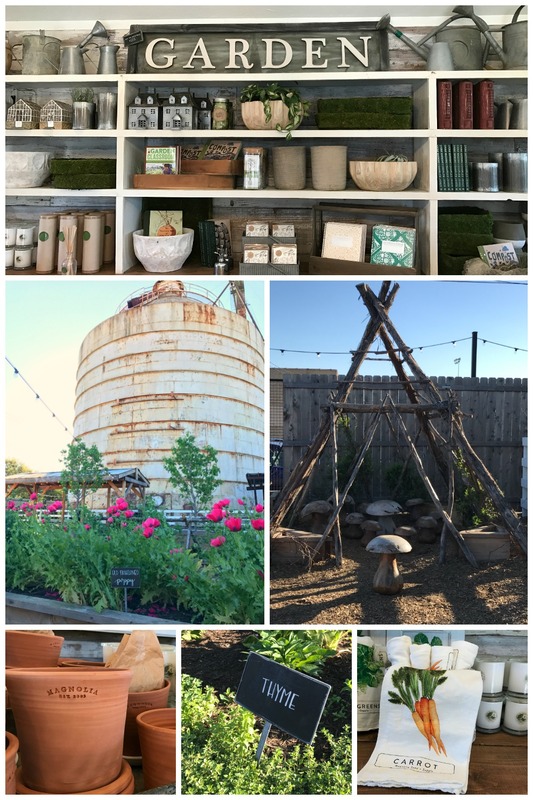 So here is what you’ll see at Magnolia Market, things you can’t miss, and hacks for making the most of your Fixer Upper Magnolia experience! I’ll be honest, when we did a drive by at night, I was a little underwhelmed at the size of the Magnolia grounds. I envisioned 10 acres of rolling hills, and a warehouse store the size of Costco. But just like everything on TV, the area is much smaller in person. But that’s OK, it’s still completely beautiful. 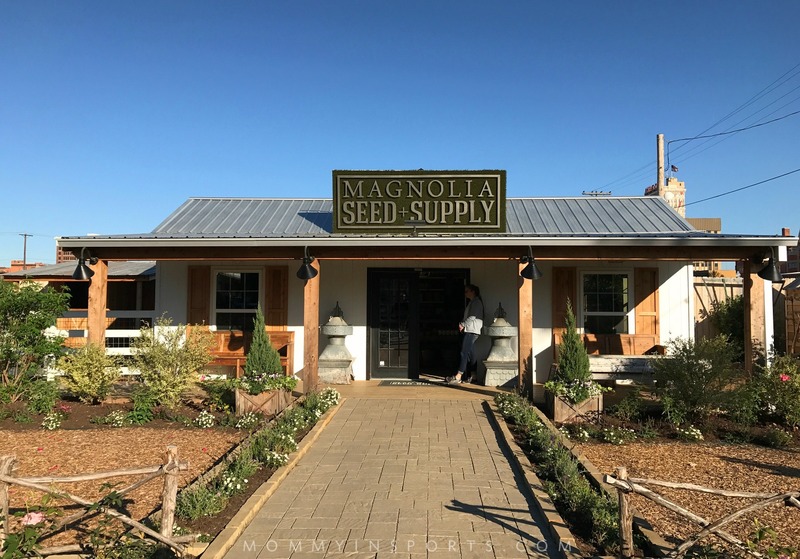 There are four main areas to see at Magnolia; Magnolia Market, the Silo’s Baking Co., Magnolia Seed + Supply, and the green area with the food trucks. 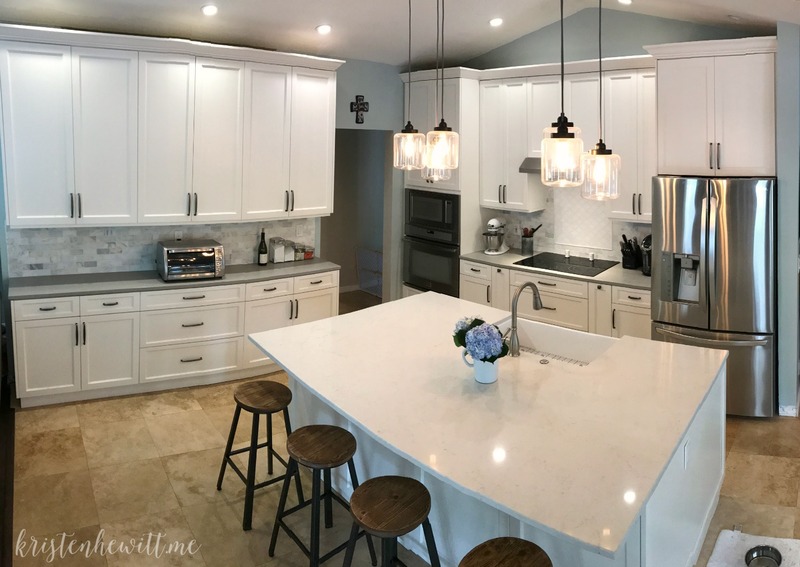 Watch a video tour of Magnolia here! We arrived at 8:45am on a Saturday and headed for the store. The line was pretty long so we hit the garden store instead. There we found breathtaking gardens, toadstools, and a fairy garden. It was basically a photographer’s dream canvas, and in the cool, morning light, I was smitten. Once the main crowd was let into the store, we went inside just after 9:00am with no line. Sure the store was crowded, but every nook and cranny was breathtaking. 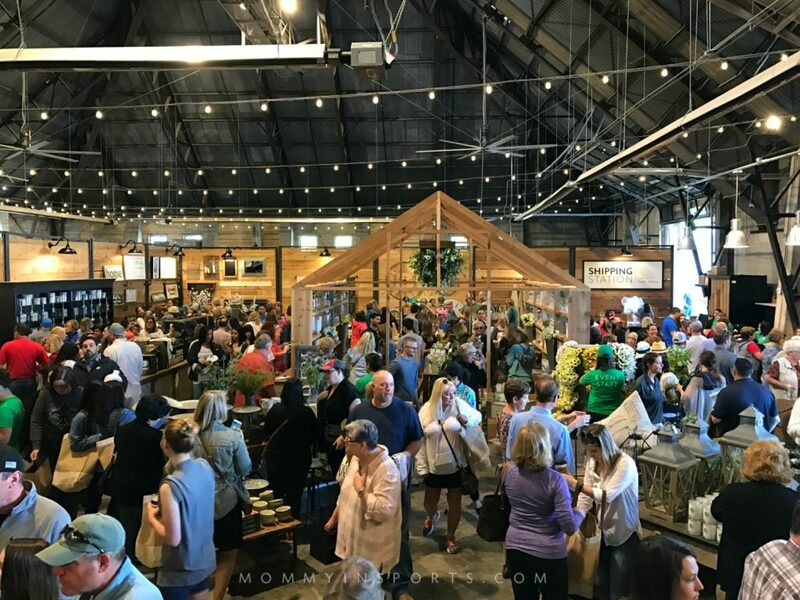 It feels like Joanna Gaines personally decorated the entire market like one of her homes, and there is eye candy around every turn. 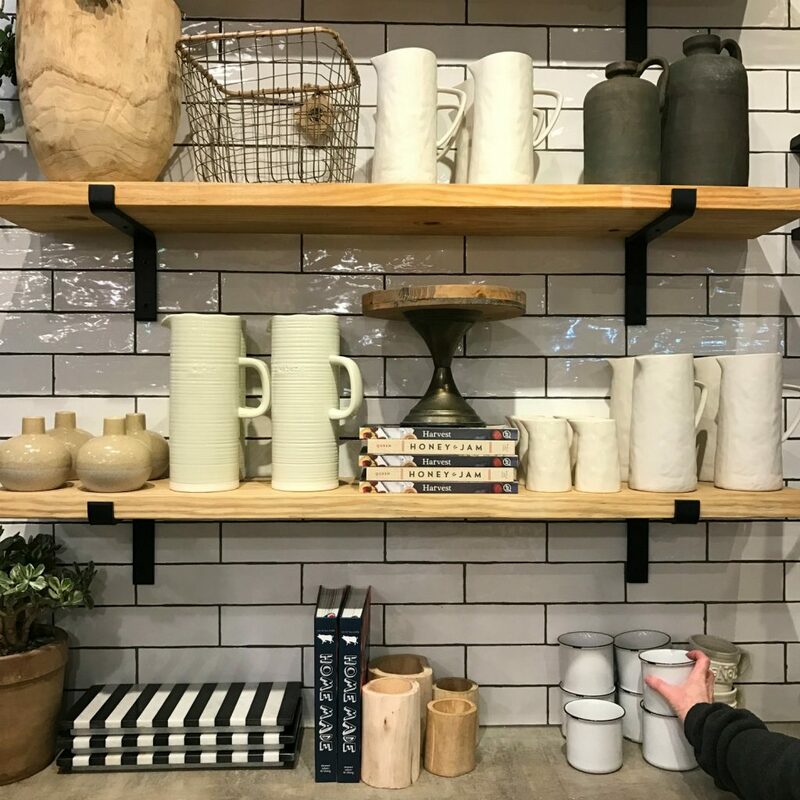 Magnolia Market has different staging areas for all the rooms in your home, accessories, displays, and loads of items for your kitchen in the first room. At one point I was teary over salt and pepper shakers. (I told you I was obsessed with the show!) 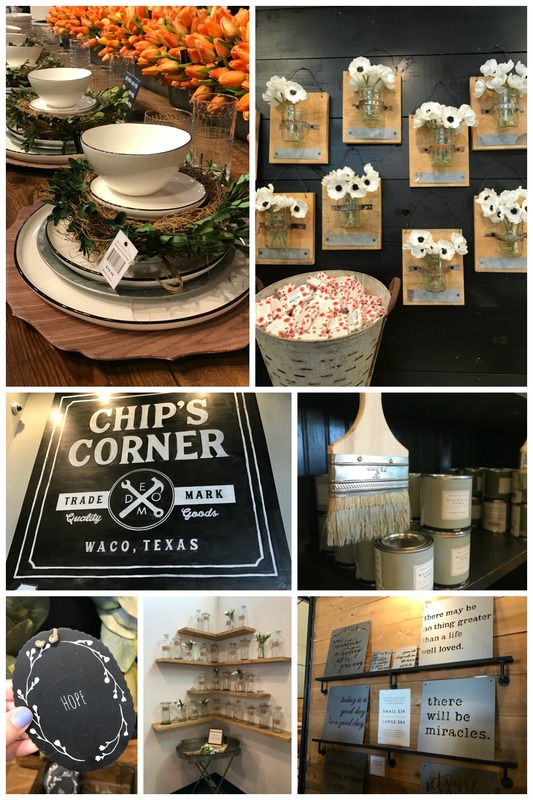 I couldn’t believe I was lucky enough to work with Hampton by Hilton again, be on this trip, and be accessorizing my new kitchen at the actual Magnolia Market. It really was magical! Plus I had the best shoppers enablers to help me blow my budget! The main room downstairs though was crowded. Again if you go on a Saturday bring lots of patience, and expect to take your time. But every single employee was helpful, and even the visitors were kind and willing to let us snap pictures and videos. Chip and Jo are making major bank. The line to make my massive purchases was long, but only took 15 minutes. They also have shipping right by the registers to get your goods home. After the Magnolia Market we were hungry, so hello…cupcakes! 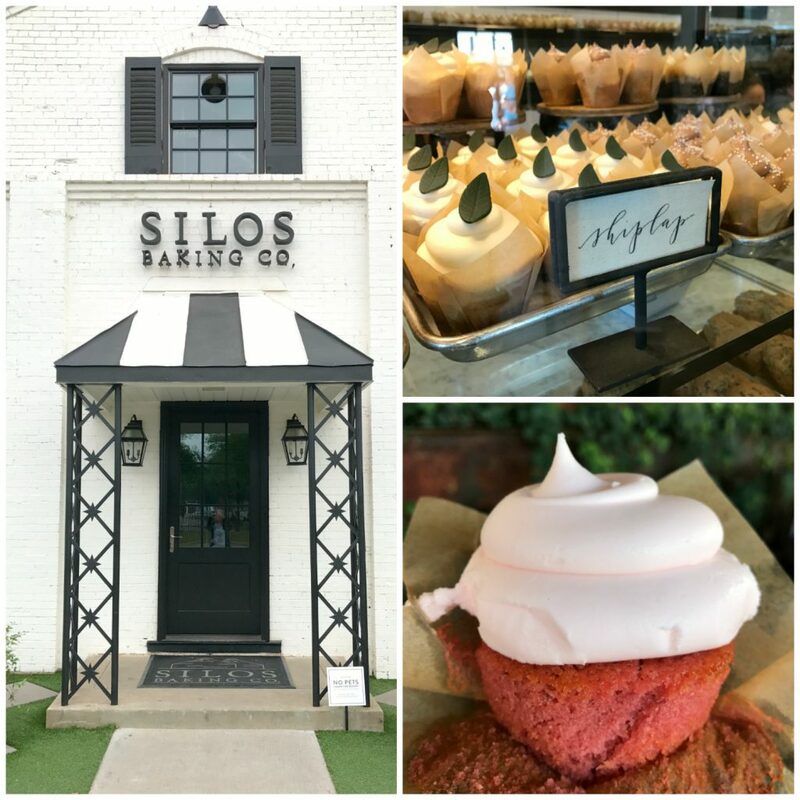 The Silos Bakery is quaint, adorable, and small inside. And the line was epic, ain’t no one have time for that! So instead we hit the cupcake food truck and picked up cupcakes and green juice of course. It’s all about balance. I have to say, the “Shiplap” flavor was my fav (vanilla buttermilk OMG), and seriously the best cupcake I’ve tasted. 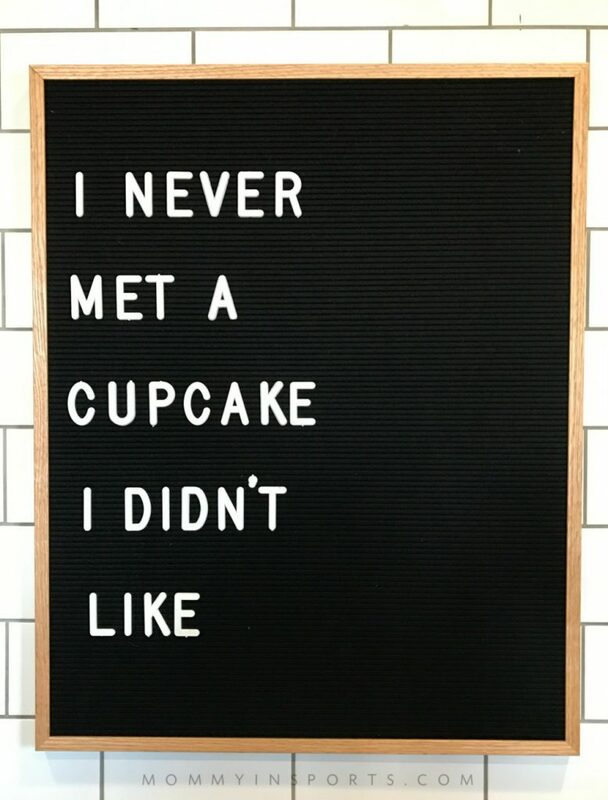 And I’ve tasted a lot of cupcakes. 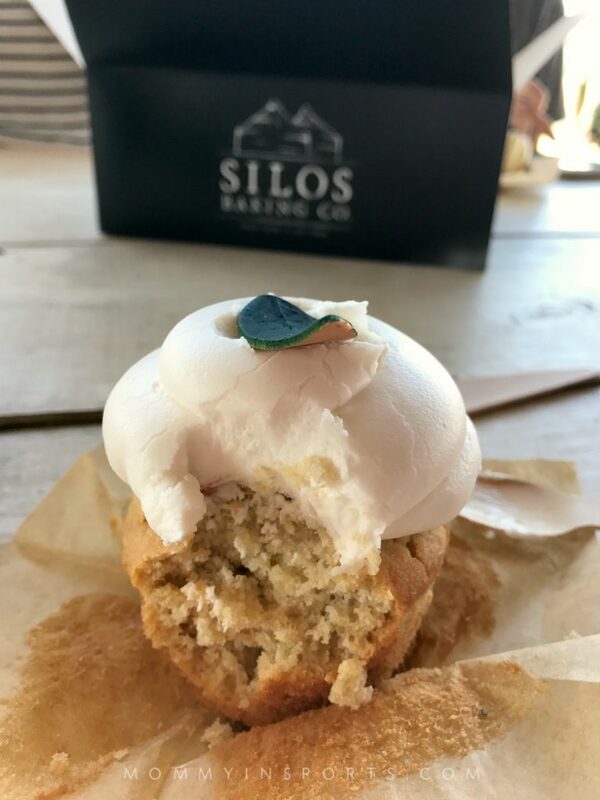 Read what to expect at Silos Bakery Co. at Magnolia here – including hacks, hours, and full menu options. There’s also the green space for playing, swings for swinging, and picnic tables for chowing. We had 70 degrees, no clouds, and it was heaven! Check the hours of operation before you go. The grounds are gated and not open on Sunday, and we met several disappointed visitors as we stopped by for pictures on Sunday morning. 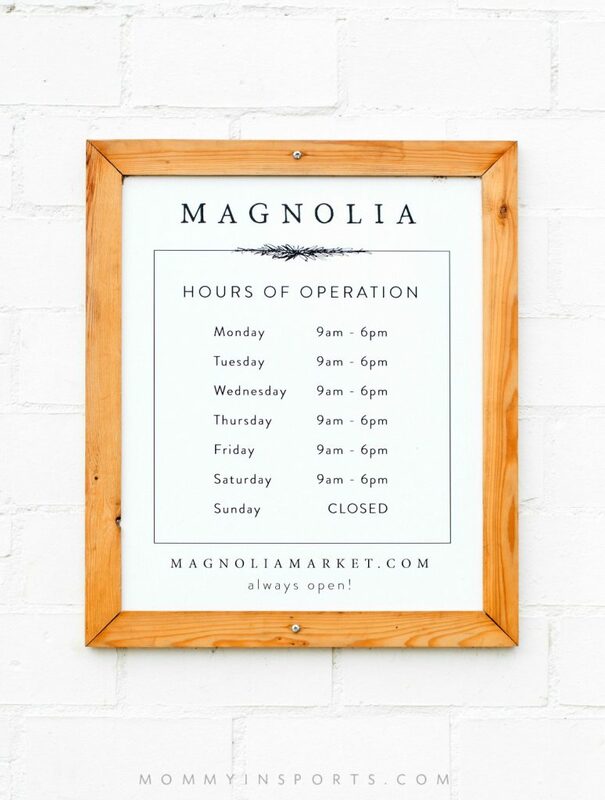 Per the staff, the best time to visit Magnolia is weekdays or late afternoons. If you do go on Saturday make sure you get there around 9:00am, or 4:30pm in the afternoon when it’s a ghost town. If you want cupcakes but don’t like lines, here’s your hot tip: there’s a cupcake food truck that opens at 11:30am. We got in line at 11:15am and were served rather quickly. If you come to Waco for this experience, don’t leave after Magnolia. 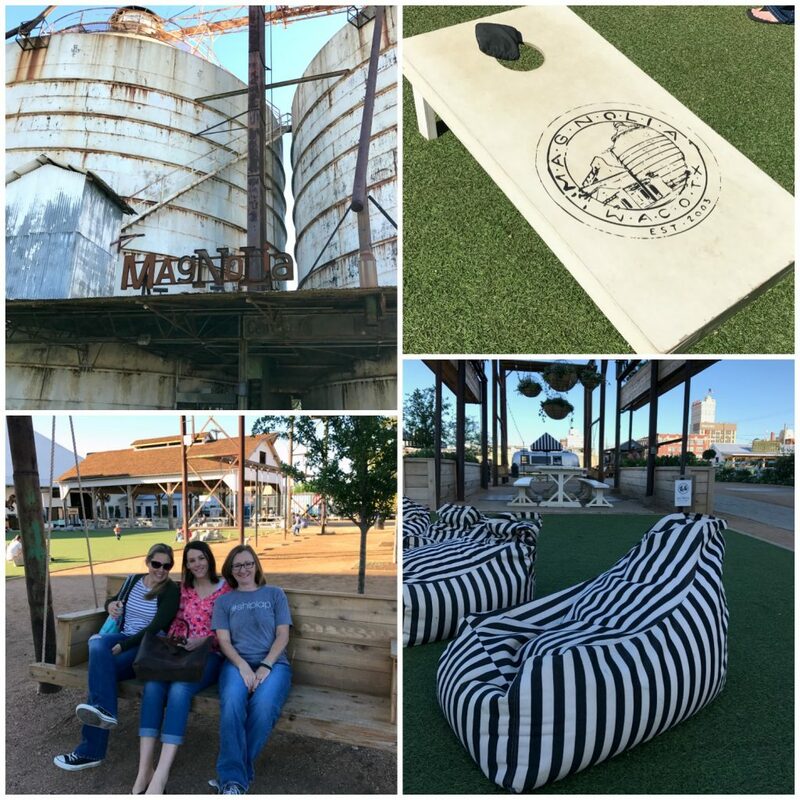 There are several fun things to do in Waco other than Magnolia, and you’ll need a great place to stay. 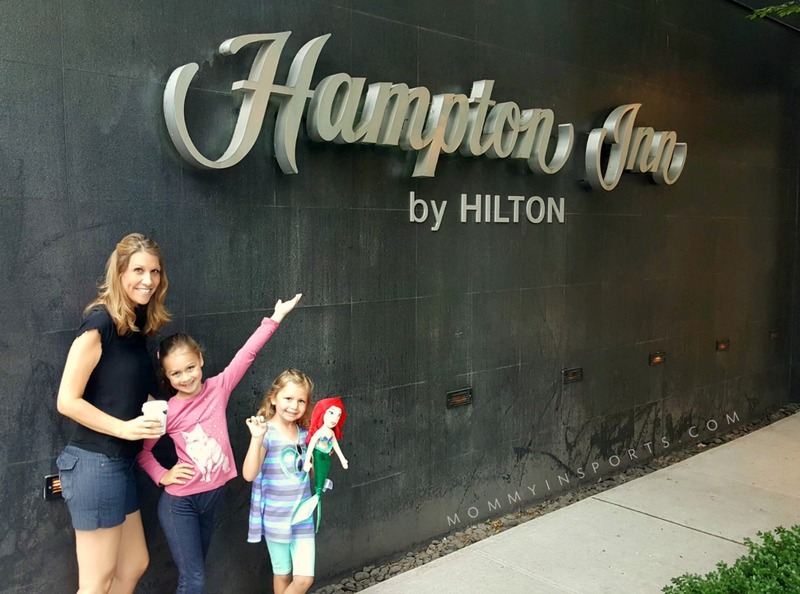 We were lucky to check into the Hampton by Hilton. 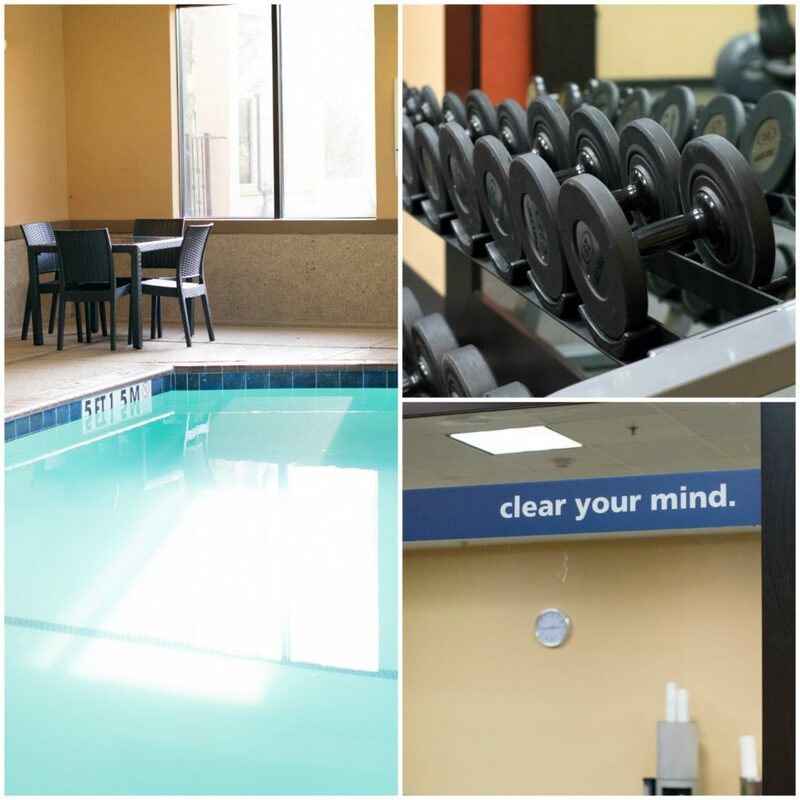 which will help you work off the delicious complimentary breakfast! 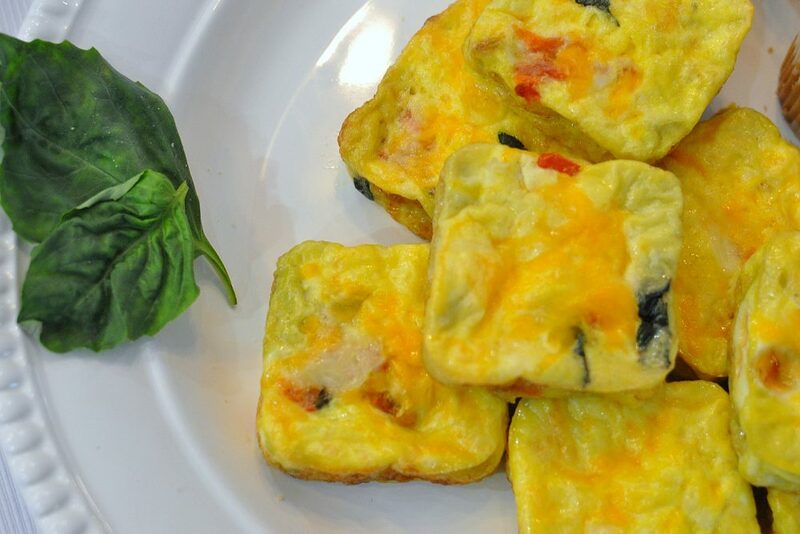 A free, hot breakfast is served daily, as well as complimentary coffee, tea and cookies throughout the day. 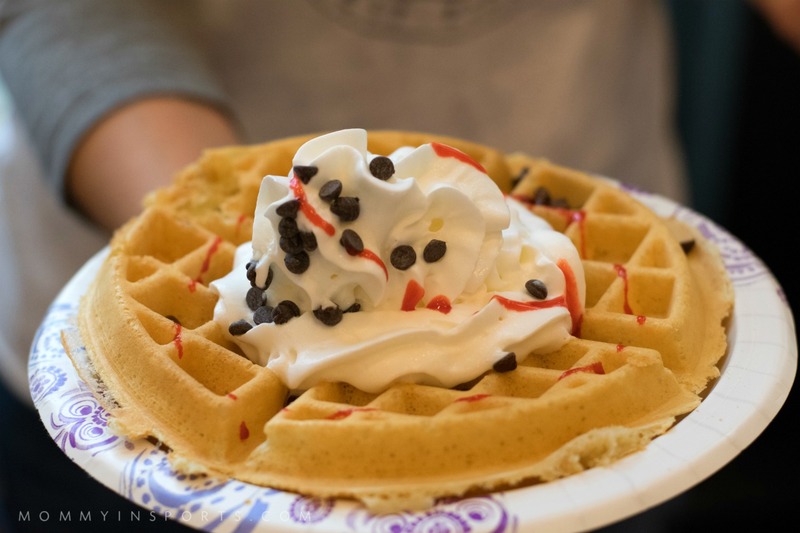 Did I mention the waffles? 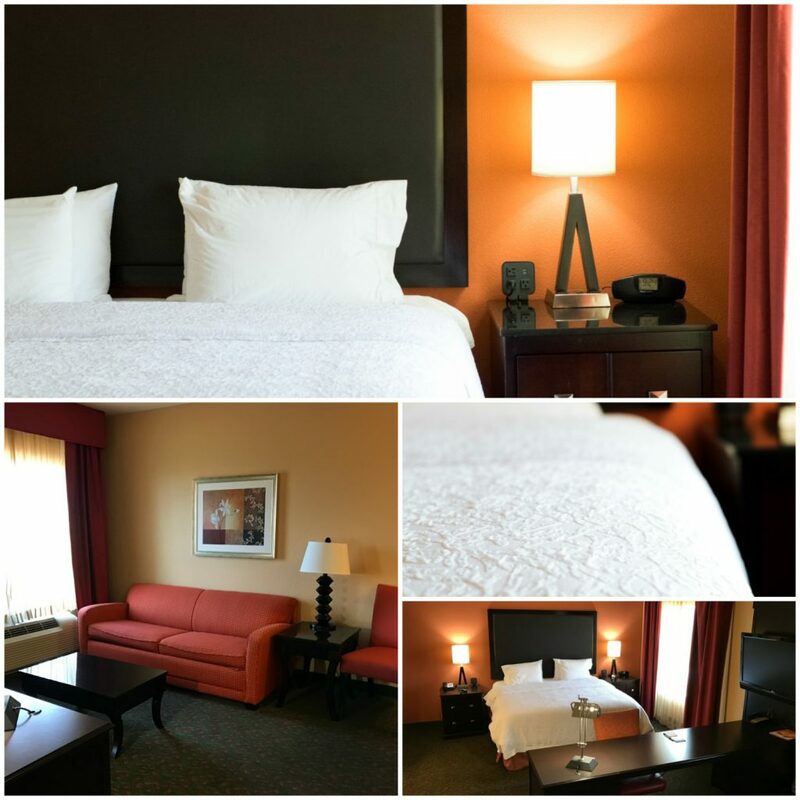 And complimentary Wi-Fi in all guest rooms and the lobby for all of those pictures you’re going to take. They also have the comfiest beds on the planet. Plus it’s close to Magnolia, and the town of Hewitt where we found some great restaurants. And Hampton by Hilton offers a 100% Hampton Guarantee. Making you happy makes them happy. When you go to Waco, TX, or any Seekender destination, this is the place to stay! I absolutely loved this Seekender adventure with these lovely ladies. 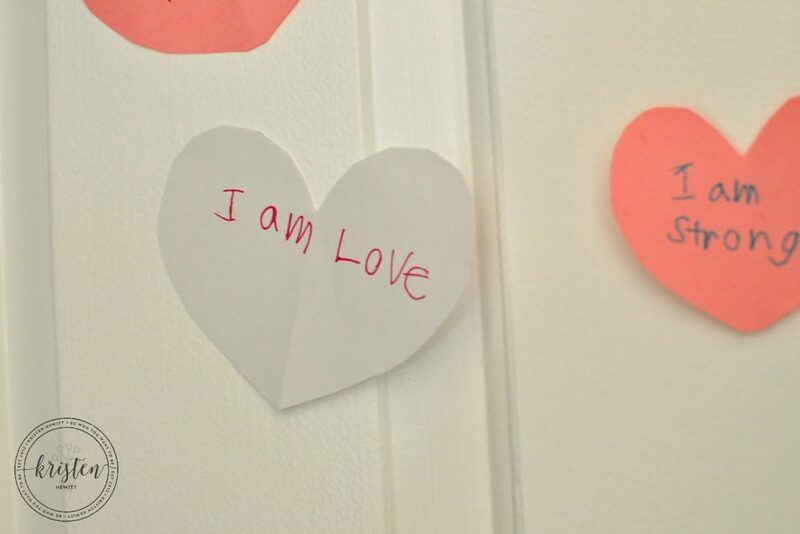 It was fun, quick, and filled our souls with much laughter, love, and a little Magnolia magic. 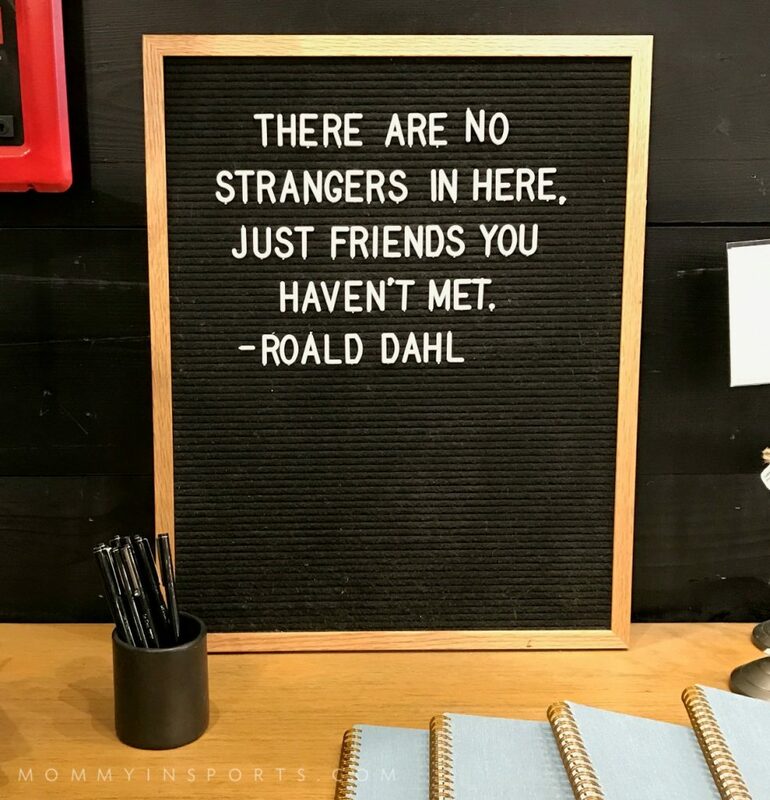 I hope you too will consider a Hampton by Hilton the next time your inner wanderer decides to take an adventure and have your own Seekender weekend! Did you like this post? Then here’s What to Expect at Silos Baking Co. adjacent to Magnolia. I give you all the deets plus more to die for pictures! 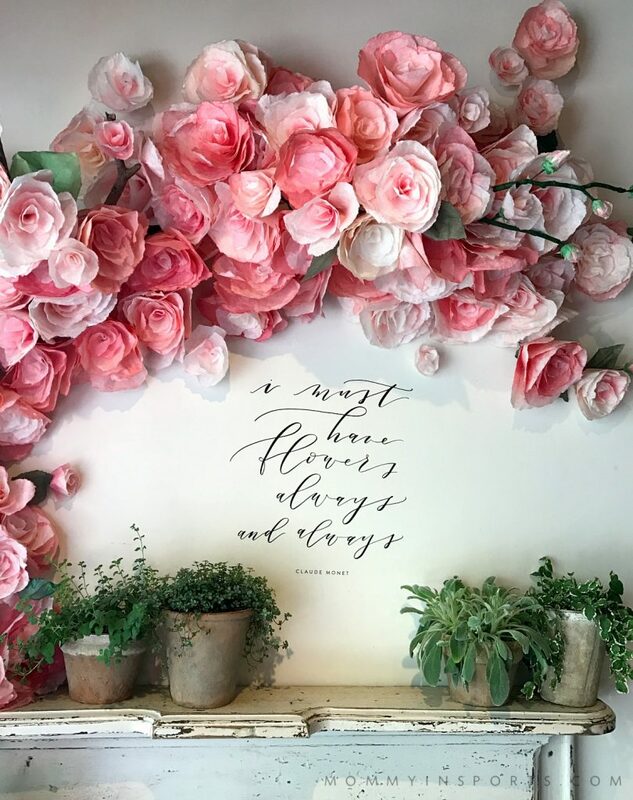 And things to do OTHER than Magnolia in Waco. 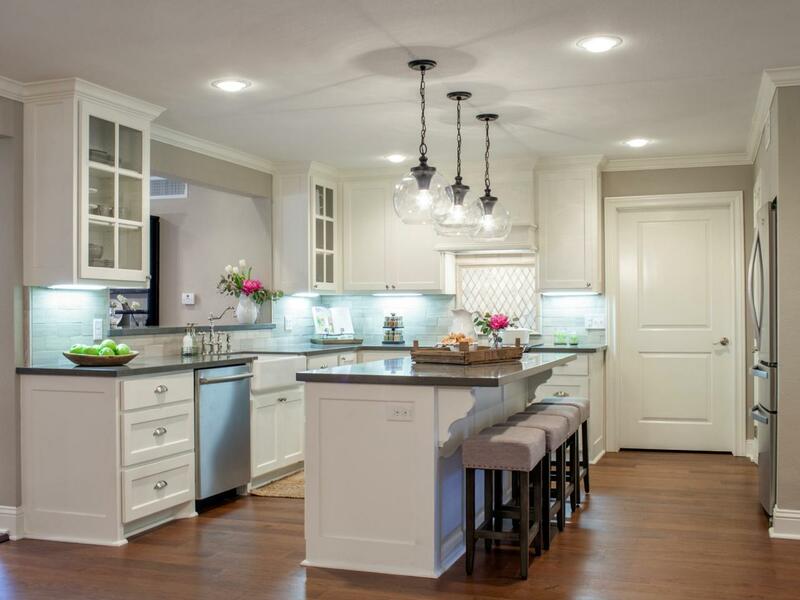 Or check out my Fixer Upper White Kitchen Ideas. 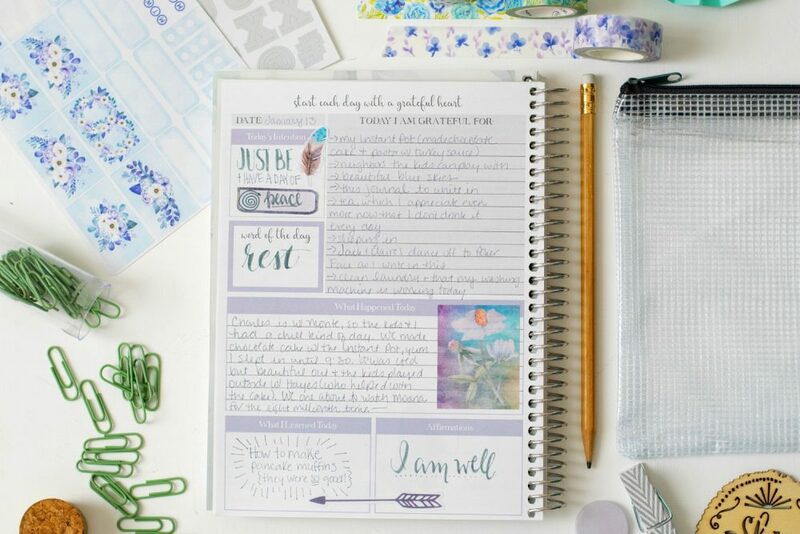 Or how to plan your own Seekender weekend with kids! This looks like one of the best girl’s weekends EVER! I so wanted to be with you and lived vicariously through each of your posts! I adore Chip and Joanna! They are so sweet and down to earth! Sounds like an awesome girls weekend! I would love to go there, but I am going to check out the website now! I posted something about Chip and Jo on my FB the other day and everyone commented about how much they love them. Seriously, though, they are awesome and I hope the tv show divorce bug leaves them be. Regardless, you are super lucky you got to touch and feel everything (I am the same way). What an awesome trip! Right? You have to touch it! LOL! Ah, this all looks soooo lovely!! How fun! I am going to go check out this seekender gig. I would LOVE to do this! 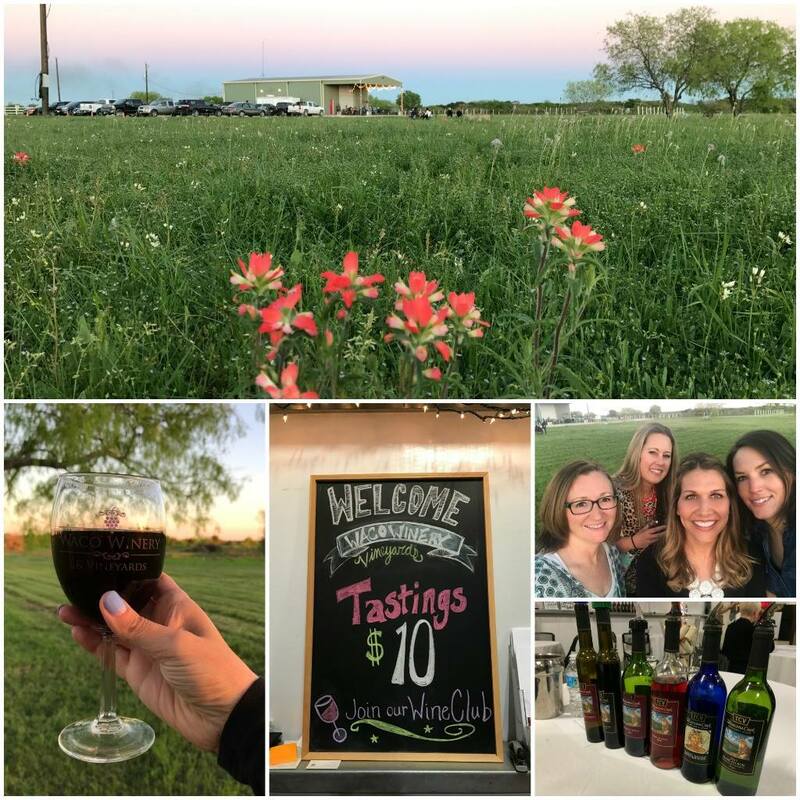 Bucket List – great girls weekend getaway!! Thanks for all the info???? sounds like a good time was had by all! Total bucket list and WORTH it! 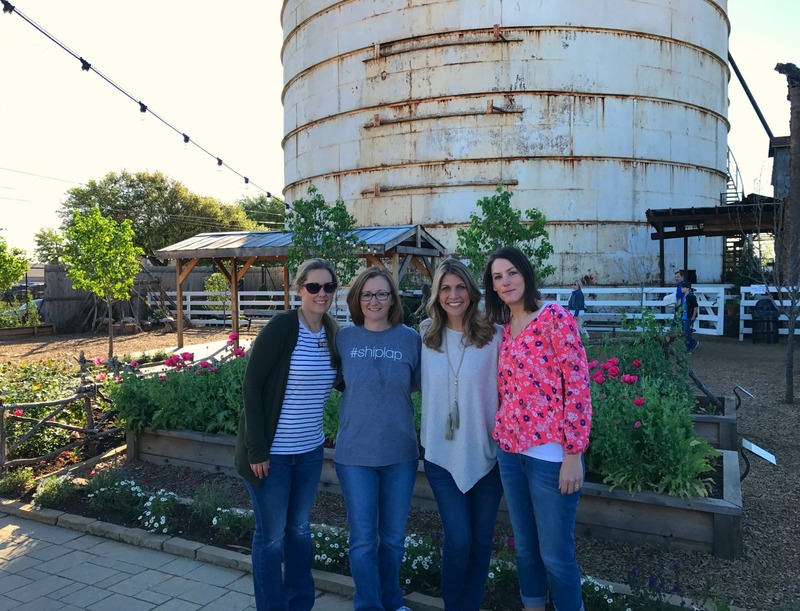 I’m heading to Austin this weekend for blogging conference and we’re doing Magnolia on Wednesday! Thanks for the ideas! Cupcake Truck here I come! Yay! Have fun and order Shiplap! I wish I could join you. What blogging conference? We are doing a girls trip in November. Flying in to Dallas on Saturday and leaving back out on Tuesday. What do you recommend we do on Sunday since everything is closed ? ?